Download the latest issue, or sign up here to receive new issues electronically. Got a story to share? Send your story ideas, successes, photos, updates, noteworthy mentions and news to our Communications Manager, Rachel, at rachel@fulbright.org.nz. We love hearing from our alumni! Not sure if it’s “news” enough? Send it along anyway – we will do our best to include all suggestions and entries in an upcoming issue. Stay Connected: Make sure you get your copy of Bright Sparks by updating your contact information. 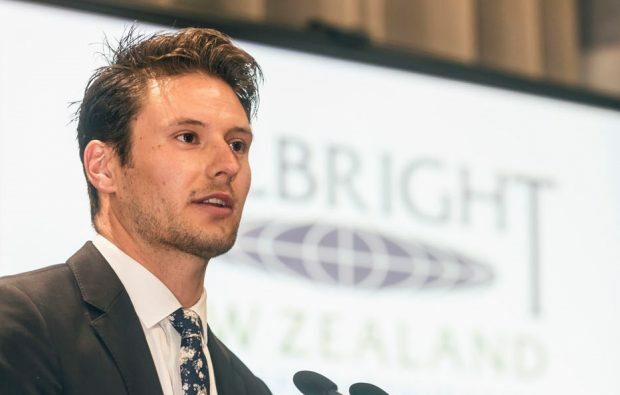 Email any changes to alumni@fulbright.org.nz. Looking for your copy in the mail? While we would absolutely love to send this far and wide every three months, the high cost of postage means we only mail one issue per year internationally. 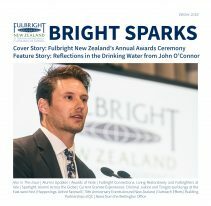 All issues of Bright Sparks are sent to alumni with current addresses within New Zealand. Our alumni are important to us, and we would love to stay in touch, so we encourage you to sign up to receive all issues electronically. To request a hardcopy, please email alumni@fulbright.org.nz.